SFEE believes that interactions between the pharmaceutical industry and healthcare professionals have a profound and positive influence on the quality of patient treatment and the value of future research. At the same time, there is a need for increased transparency and integrity regarding these interactions internationally. To this end, the European Commission issued the List of Guiding Principles Promoting Good Governance in the Pharmaceutical Sector (an initiative of former Commission Member A. Tajani). In implementation of these principles, EFPIA (the European Federation of Pharmaceutical Industries and Associations), of which SFEE is a member since 1982, adopted the “EFPIA Disclosure Code”, which all Member States, including Greece, have transposed into their national codes. Beyond Europe, a similar transparency framework has been introduced in the United States with the Sunshine Act. What is the Disclosure Code? 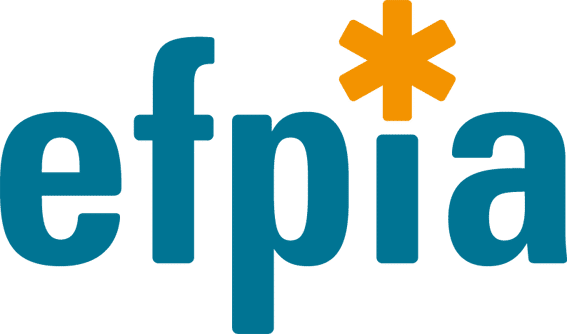 As a member of EFPIA and in line with these initiatives at the European level, SFEE adopted its own Disclosure Code, which requires all SFEE member companies to disclose details on their transfers of value to Healthcare Professionals (HCPs) or Healthcare Organisations (HCOs) (name of HCP/HCO, type and amount of transfer – e.g. participation in conferences, fees for consultancy and other services, etc.). This information will be disclosed through a dedicated platform on the SFEE website, which will gather data from all member companies and will be freely accessible by the public. Why was the Disclosure Code created? It is a fact that the healthy and transparent working relationship between pharmaceutical companies and healthcare professionals is in the best interest of patients, since the medical profession offers invaluable expert knowledge helping to prevent and manage diseases and improve patients’ quality of life. By supporting various educational and research activities of healthcare professionals and organisations, pharmaceutical companies contribute to the ongoing training and development of health care professionals, enabling them to offer more and better treatment options to patients. The Disclosure Code was created in order to delineate and establish a framework to govern the cooperation of pharmaceutical companies with healthcare professionals and is a step towards greater transparency and mutual trust between the pharmaceutical industry, the medical community and civil society across Europe. Who is bound by the Disclosure Code? The Extraordinary General Assembly of SFEE formally adopted the Disclosure Code, which SFEE member companies are required to apply as from 2016, when they will disclose their transfers of value to healthcare professionals and healthcare organisations starting with data for the previous year, i.e. 2015. 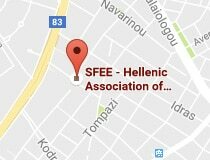 The Code of Ethics section of the SFEE website (www.sfee.gr) is a good place to start. It provides information on all the initiatives of SFEE that help the pharmaceutical industry to be more open to the public, including the Disclosure Code. Further details can be found in the information material listed below. Additionally, we will create a dedicated website, through which the public will have full access to the information disclosed under the Code.